Since the invention of the car, people have been trying to predict what the future will bring for driving. With self-driving cars, flying cars and new fuels all now a reality we take a look at which are sustainable and a possibility to the wider market, and which are futuristic or simply unrealistic. The car industry is continuously researching and looking for the next big thing. A lot of the development in recent years has been around self-driving cars, where the vehicle of the future takes control. Thanks to advances in AI, the driverless car is a now reality. At the rate that the driver assist technology is improving, it is likely that we our heading in the direction of driverless cars are the norm. In the future will we may not need our own cars at all, or we may have self-driving cars, or will simply use driverless taxis. Taxis journeys of the future to cost £1! Self-driving Taxi rides will potentially be able to drop from around £10 for the average journey, to just £1. This is due to the technology and lack of need for a of driver. With ride sharing options likely to be available, this may become a significantly important next step. One problem that is occurring is the level of severe accidents that have occurred as a result of driverless cars. This has delayed the implementation of the technology while further research is conducted to reduce the danger associated with them. While driverless cars may not be for the immediate future, they do seem to be on the way. Since the film ‘Back the Future’ we have all been excited with the prospect of a flying car. What one could look like has varied from cars with wings, to cars with a helicopter attachment, or your average cars just taking off. Mini plane style cars have been developed a long way, unfortunately they still need an airfield to take off, cost extortionate amounts and require a pilot’s license. Despite this being an exciting option, it’s not quite ready for the average household. Although the technology is in its infantry, there are already countries looking at what that would mean legally in terms of safety and where could people fly. 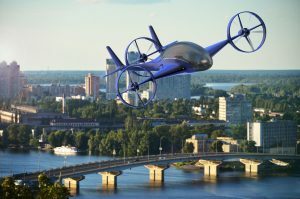 n a big step towards making flying cars a reality by drawing up a legislation, and this is already passed in place for the first batch of cars to hit mass market. Given the safety, environmental and technological issues, the likelihood of having a flying car like you see in the films in the next 10 years is limited. Do not be surprised if you start seeing the primitive ones abroad, as early as next year in the luxury market. Will we run out of fuel? With Global warming being a hot topic in the media, fossil fuels getting harder to access and the damage burning these has had on global temperatures, there has been a dramatic rise to look for the next way to power our cars – whether this be battery, hydrogen, electricity or something entirely new altogether. There has been a significant improvement on electric cars, which has reflected in sales going up year on year. However, with many difficult issues to face such as the ability to charge the car, or collect the hydrogen in an environmentally way. It seems like this may not fully replace the traditional car in the recent year. With the rise of Hybrids and the long term research that is currently occurring, the future of fuel may be beyond what we can imagine today. The UK market is a long way from flying cars so you may need to think about moving if you’d like to take to the skies to avoid the rush hour. 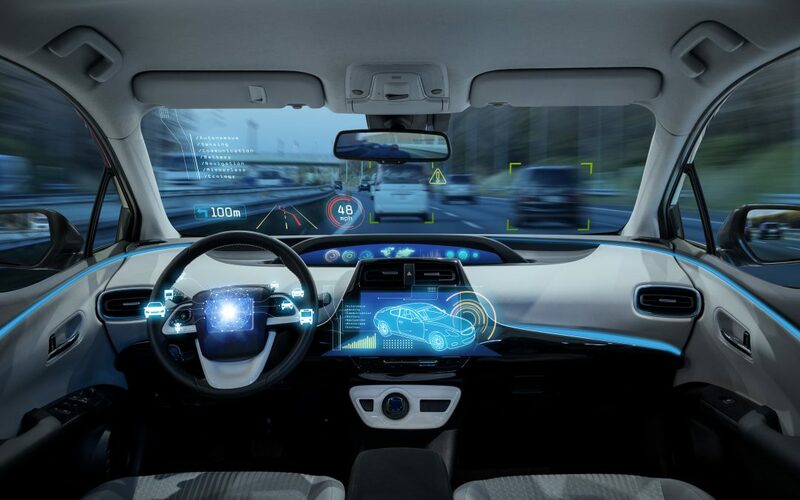 Driverless cars are coming and it may not be long until you’re having family dinners or work conferences whilst your self-driving vehicle takes you to your destination. 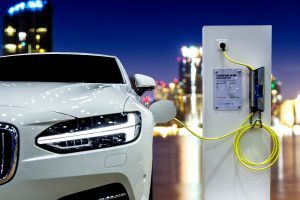 Electric cars are available now in the UK and with charging ports in your home, in work places and supermarkets, they are a part of the future which you can have today. Whatever the future may hold, one thing is certain driving without insurance is still illegal and can cost you 6 points on your licence (or even a driving ban) and an on the spot fine of £300 and according to IAM (Institute of advance motorists) not having insurance could also make it harder to prove the accident wasn’t your fault and may result in you forking out for a hefty fine. So don’t wait, get a quote today with GoSkippy. Would you fly in a ‘pilotless’ plane? Can you say no to your phone? Surviving a long-haul flight – top tips! What should you do if you’ve had an accident? Terms, conditions and limitations may apply. Please read the full Terms & Conditions for more details. 5-star Defaqto rating on Southern Rock & Watford comprehensive policies only. GoSkippy Insurance is arranged and administered by Eldon Insurance Services Ltd who are authorised and regulated by the Financial Conduct Authority (Firm Reference Number 477112). Registered in England and Wales (No. 6334001). Registered office: Lysander House, Catbrain Lane, Cribbs Causeway, Bristol, BS10 7TQ.